According to Hindustan Times citing a Nokia executive, the Finnish company will release 40 handsets for the remainder of 2011, of which 12 will be smartphones. It's anticipated that these devices will be launched from mid-April until the end of the year. 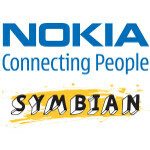 Additional details are not disclosed, but it is suggested that all these phones will be powered by Symbian, which reiterates the rumor we are not to see a WP-running Nokia handset before 2012. It's unknown whether these handsets will be low, mid or high-end, but it's implied that Nokia will rely on the sheer number of these phones to grab some consumer love for its native platform. It's important to note this is not exactly a confirmed information, so treat it with a pinch of salt until more official info arrives. 60 languages. That really hits home how much of a giant Nokia is. 15 total... 6 smartphones, 4 WP7 (2 C2), 2 Symbian... 9 featurephones.... 2 Windows 8 Tablets (1 Intel, 1 ARM) Apple is having only 2, can't you do with less? Languages have nothing to do with this. Still waiting on the Meego powered N950. Sleeping screen looks like Android life wall paper! Kind of cool.